Jeremy Ellis began his racing career by stepping into his dad’s footbrake car at the age of 14. He hasn’t turned back since. A year later, Ellis had won a monthly points championship and finished 5th in the yearly points championship at Montgomery Motorsports Park. Ellis, at the young age of 16, was no stranger to winning. He was the High School track champion at Montgomery Motorsports Park and finished third in NHRA’s Division 2 for the High School classes in 2003; he was also driving a Racecraft Chassis Dragster running in the Super Pro class in Montgomery and other tracks around the southeast. Ellis also kept racing his footbrake car and finished 2nd in the monthly points championship. In his 2004 – 2005 racing seasons, Jeremy won the Quick 32 class at the Montgomery Motorsports Park. He also won nine races and the Footbrake Championship at the Phenix Motorsports Park in Phenix City, Alabama as well as taking a win at the Super Pro race at Montgomery’s Super Chevy Show in his dragster. Moving into the 2006 season, Ellis and his dad decided to make a change to compete in a new 5.30 Heads-up class racing through out the Southeast. Ellis picked up nine wins, including the September Outlaw Racing Street Car Association (ORSCA) race at the Huntsville Dragway. Ellis also had 4 runner up finishes placing him 3rd in the world for the ORSCA Series even though he missed 2 out of the 9 races. Not to bad for his first year in the 5.30 class. Ellis was crowned the 2007 ORSCA 5.30 Series Champion with four wins and three runner-up finishes. 2008 marked Ellis’ first full season under the TEAM 7 RACING banner and did not disappoint with two wins, two runner-up finishes and his second consecutive ORSCA World Series Championship. Ellis continued his dominating ways and captured the 2009 championship. 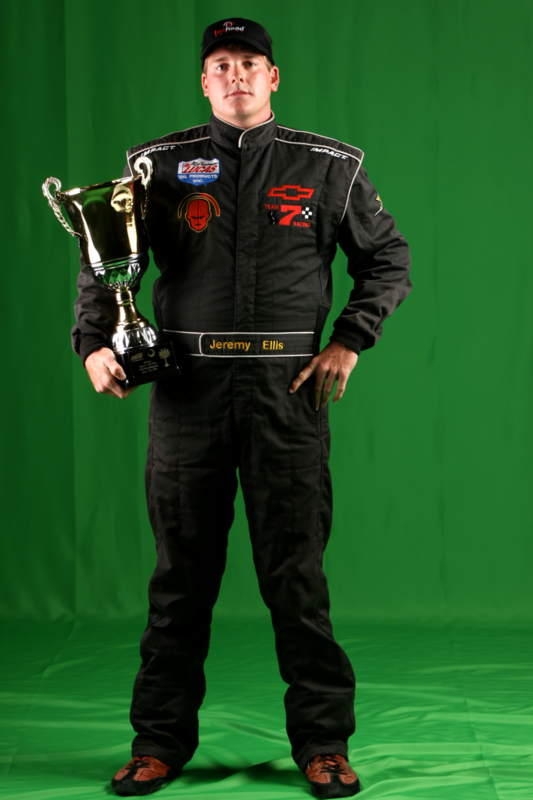 In 2013 Jeremy won the Southern Outlaw Series Drag Racing 5.0 Championship.